My SIL. I miss her. 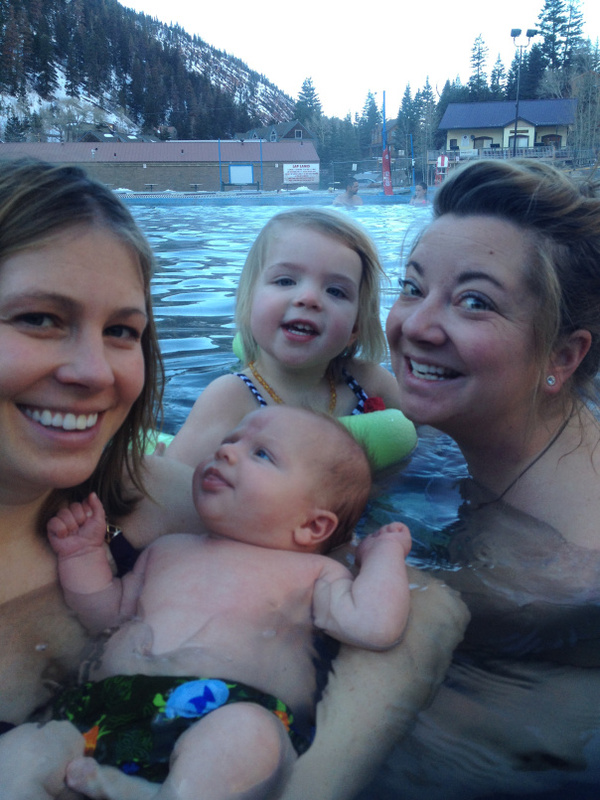 Friday, February 21st you came over after Stella’s nap time to go to the hot springs with me and the kids. We had so much fun at the pool that afternoon and made a pact to do it weekly all summer long. You swirled Stella in circles to make her laugh and helped her practice her “swimming,” and then you took a turn holding Harvey and fending off the baby lovers so I could do the same. On the way home your yell saved me from crushing a deer that bounded out onto the highway, and we both laughed about how much it had scared the crap out of both of us and how close we had come to me finally getting a new car. I am so very sorry for your loss. Sending many prayers. I started crying while reading this and couldn’t stop. I am so, so sorry for the loss of your SIL. I have lost several people close to me that were around her age and it is so heartbreaking. She seemed to be a wonderful aunt, sister and friend. The picture of her with her brothers made me cry even harder…my girl is my second child of four, and she has 3 brothers and I often think of what their bond will be when they get older. My heart breaks for Charlie. She sounds like someone I would have loved to be friends with. Again, I am so deeply sorry for your loss. So, so sorry. I can’t imagine what you all must be going through, she sounds amazing. Josey, I’m so very sorry for the loss of your beloved sister-in-law. My thoughts and prayers are with Jamie, Charlie, yourself, your sweet children and Jamie’s friends and family. Sending much love to your family today. Thinking of you and your family on what I’m sure was a very difficult day. I am so sorry for your loss. What a terrible thing to have to go through. After seeing those pictures and of Jamie, Stella looks A LOT like her! Our thoughts and prayers are with you and everyone in your family.